If you have any questions about the Classic HEAVENLY DAZE information page below please contact us. Motor yacht HEAVENLY DAZE (ex Aldebaran, Monterra, Monterra Royale, La Belle Yvette) is a lovely classic Feadship yacht measuring 32 meters (105 Feet). 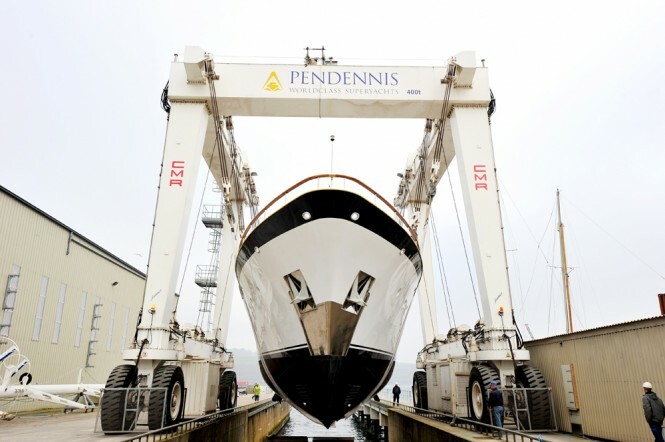 Built in 1972 by Feadship, yacht HEAVENLY DAZE was refitted at the Pendennis Shipyard in 2011/12. M/Y HEAVENLY DAZE is now in fantastic condition and has still retained her classic style, embodying all that is quality, style and sophistication. 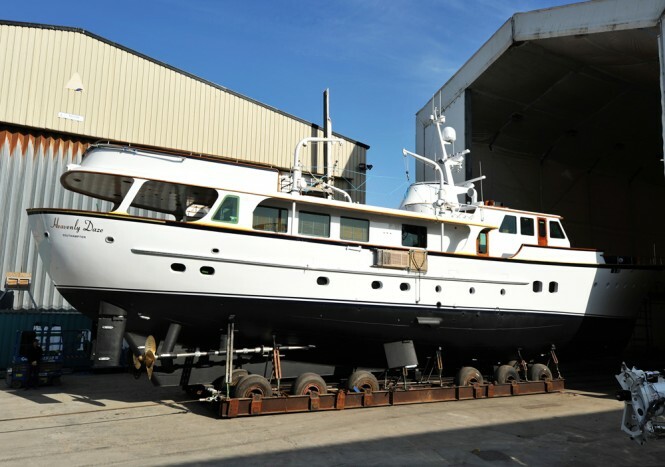 The classic motor yacht HEAVENLY DAZE is a great seafaring yacht that comfortably handles various sea conditions thanks to her solid and heavy Feadship steel hull, oversized stabilizers and canoe stern that makes her a comfortable and fun ride in a following sea. The HEAVENLY DAZE motor yacht boasts comprehensive entertainment options with a large aft deck and a huge sundeck. M/Y HEAVENLY DAZE is able to accommodate up to 10 guests in 4 cabins. 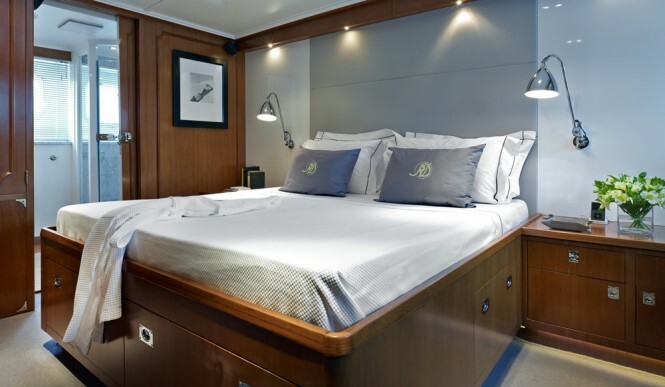 The Full-width master stateroom has a kingsize bed and en suite shower room. The Full-width VIP stateroom has a queen size bed and en suite shower room. 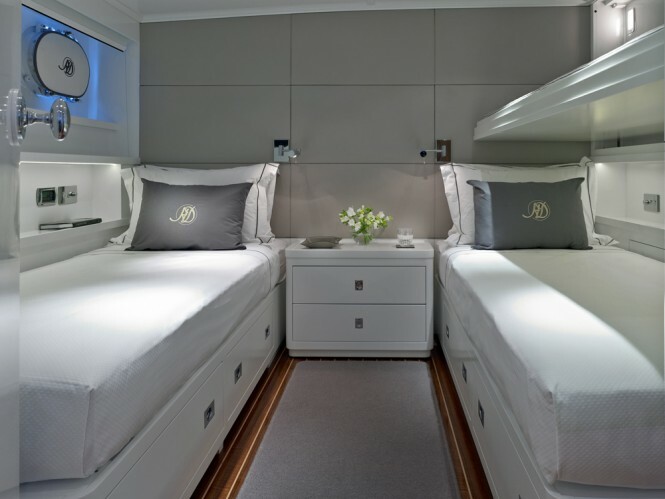 There are two identical twin-bedded cabins, each with Pullman berth and ensuite shower room. In 2012 all of the guest cabins were refreshed. We do have available further amenity, owner and price information for the 32.00m (104' 11") yacht Classic HEAVENLY DAZE, so please enquire for more information. The luxury yacht Classic HEAVENLY DAZE displayed on this page is merely informational and she is not necessarily available for yacht charter or for sale, nor is she represented or marketed in anyway by CharterWorld. This web page and the superyacht information contained herein is not contractual. All yacht specifications and informations are displayed in good faith but CharterWorld does not warrant or assume any legal liability or responsibility for the current accuracy, completeness, validity, or usefulness of any superyacht information and/or images displayed. All boat information is subject to change without prior notice and may not be current.